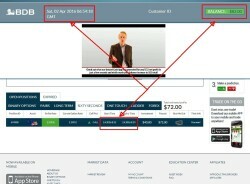 In this review we are going to check a new binary options scam called “Instant Cash App”. It is presented by Mark Davis. 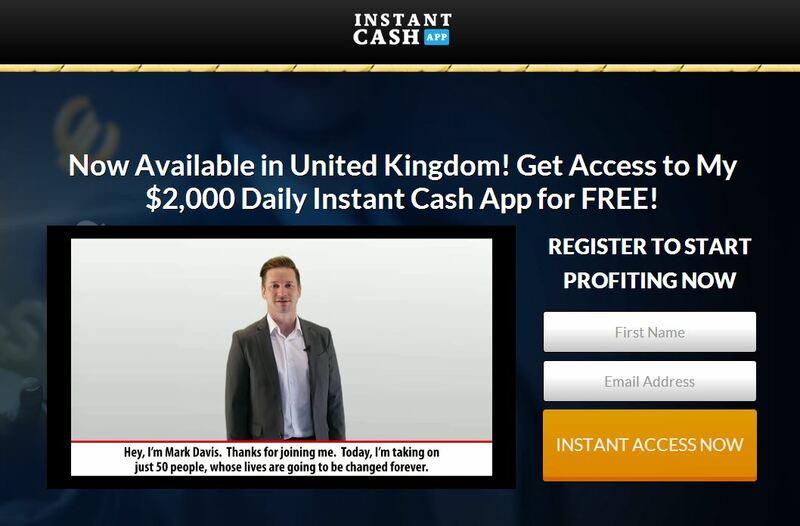 Davis claims that his Instant Cash App is a fully automated software that can make you $2,000 – $4,000 per day, depending on the country where you live. And it is allegedly guaranteed. The app is allegedly able to exploit a glitch caused by the difference time zones between 5 of the world’s economic superpowers. Now the Instant Cash App is free for 50 new members. Davis says that he is taking in 50 new members every year. Mark Davis is a fictitious character and his story is a fairy tale. 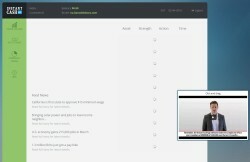 In fact, Davis is affiliated with a binary options broker and he is going to get paid for every new depositor he can refer to this broker. The first big lie you can hear about Instant Cash App is that is 100 % free and that you can put away your wallet. Because it is not true, in order to be allowed to use the app, you will have to open a trading account with a certain broker and deposit at least $250 of your own money. If you then trade with the Instant Cash App, you will lose your deposit. Try then to claim the guarantee, you won’t even be able to contact Davis, because he gives no contact information. We signed up for Instant Cash to see it from the inside. And what a surprise, we immediately recognized the Safe Income Inc. scam, the Instant Cash App is basically just a clone! It happens like this: when you sign up, you are shown a supposedly live winning trade to see that Instant Cash App works. The problem is that it is completely fake, the trade is faked, it is not live. 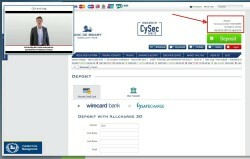 First proof: the 60 seconds trade was taken on the EUR/USD with Banc de Binary on a Saturday. 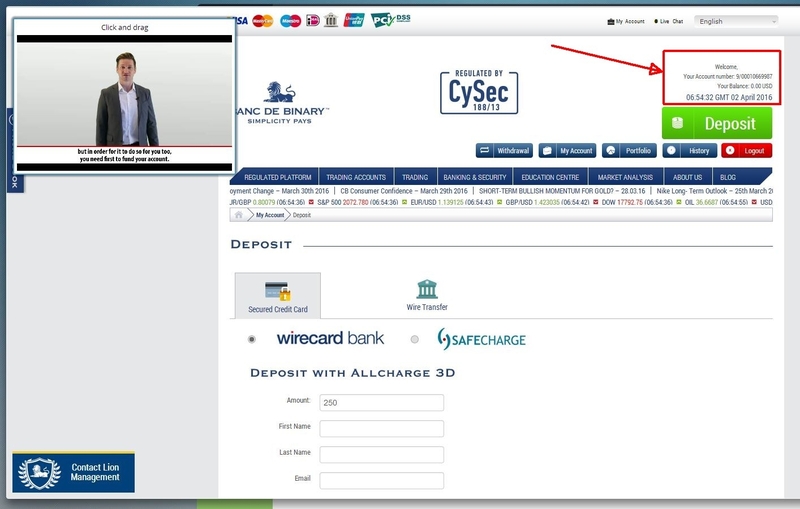 But we checked Banc de Binary and real trading of 60 seconds binary options was closed on this Saturday morning. Second proof: the real balance shown on the trading account is $0, so the balance of $50 and later $82 shown by Instant Cash App is complete fiction. Look at the second picture on the right, after the winning trade you are asked for a deposit, but the balance is $0. 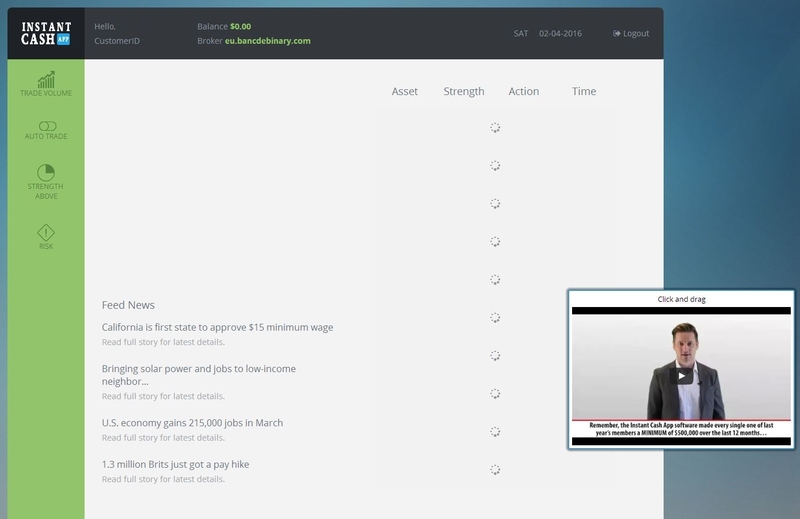 This is the same dirty trick as used by Safe Income Inc. Forget about all the testimonials and bank and trading account statements shown in the Instant Cash App video, they are all fake. 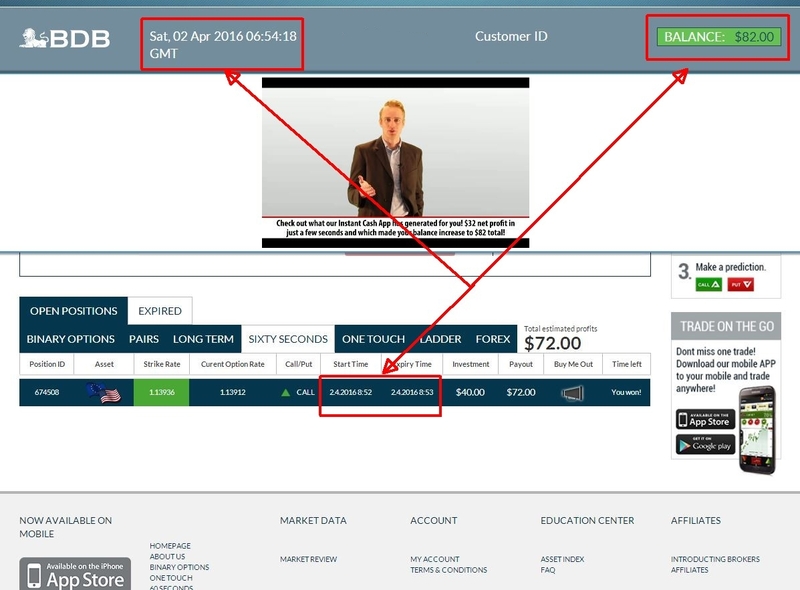 Instant Cash App is a cloned binary options scam that is trying to get your money, so stay away from it. If you are interested in trying binary options trading and seeing how money can really be made, do it on a free demo account where you don’t risk anything.